DENNIS – [DEVELOPING] – Not all the details are in, but from radio transmissions and other sources it appears as though a man rammed into another vehicle after some sort of argument in the town of Barnstable. Yarmouth Police tried to stop the wanted pickup truck on Route 6, but the driver allegedly fled at speeds in excess of 100 MPH. Yarmouth Police had the suspect’s information and decided to break off the chase for public safety reasons. 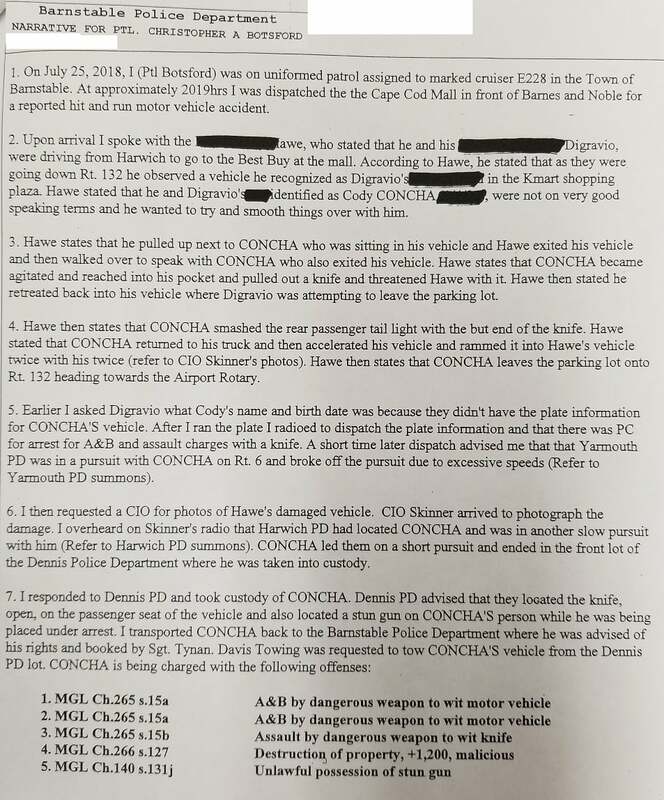 A short time later, Harwich Police picked up what was initially described as a pursuit but eventually slowed down after the suspect’s mother contacted him by cell phone and tried to get him to stop. Harwich and State Police followed the pickup truck north onto Route 130, eventually stopping it in the front parking area of the Dennis Police Department. The suspect was brought into the DPD booking area until Barnstable Police could respond and take custody of him. The following HN Video shows the scene outside Dennis Police Headquarters. It also has some of the actual radio transmissions from some of the agencies involved in finally taking the suspect into custody.